The custom of sending greeting cards can be traced back to the ancient Chinese, who exchanged messages of good will to celebrate the New Year, and to the early Egyptians, who conveyed their greetings on papyrus scrolls. By the early 1400s, handmade paper greeting cards were being exchanged in Europe. The Germans are known to have printed New Year’s greetings from woodcuts as early as 1400, and handmade paper Valentines were being exchanged in various parts of Europe in the early to mid-1400s. The first known published Christmas card appeared in London in 1843, when Sir Henry Cole hired artist John Calcott Horsley to design a holiday card featuring his family celebrating together that he could send to his friends and acquaintances. Allegedly the depiction of a family drinking wine together was controversial. For shame! Today printed Christmas, Hanukkah and New Years’ cards are still widely mailed despite an early 2000s movement among some to send e-cards. Every year since 1953, White House has commissioned an official holiday card from a prominent American artist. The 2013 Official White House Holiday Card was designed by Chris Hankinson and featured a pop-up White House complete with first dogs, Sunny and Bo. Our Scratch ‘N Sniff line of Holiday Cards evoke aromas of hot chocolate, peppermint and Christmas trees from the moment your recipient opens the mailbox. Our Plaid holiday cards feature bright holiday greetings and illustrations flat printed on silver speckled white card stock. Festive holiday cocktails inspire our Festive Cocktail Recipe series featuring original watercolor artwork and tear-off recipe cards. Christmas Cranberry Mint Juleps, Candy Cane Cosmos and Glühwein (aka Mulled Wine) are meant to be shared during this season’s celebrations. Our Folk Tree holiday cards feature original watercolor artwork flat printed on organic husk card stock. Persimmons, pomegranates and figs dance atop folksy tree branches accompanied by star anise, mistletoe and holly. Happy November! 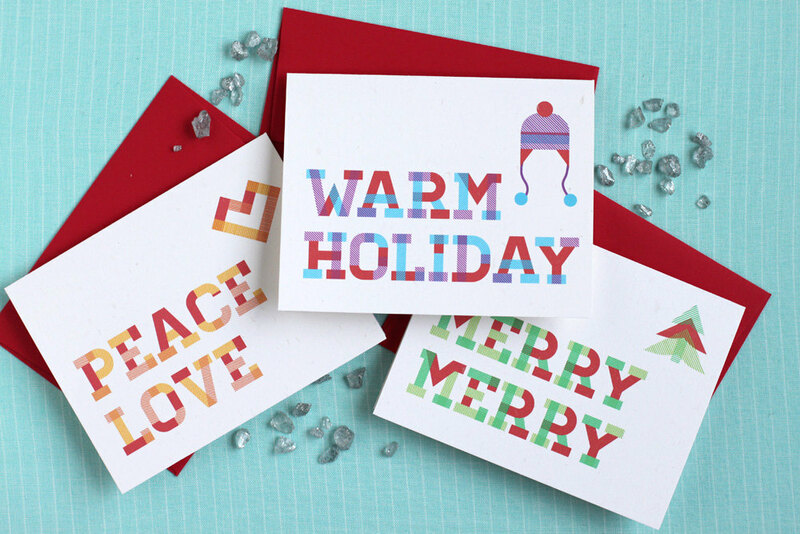 Today we’re rolling out our latest holiday card series. Festive holiday cocktails inspired this fun set featuring original watercolor artwork and tear-off recipe cards. Christmas Cranberry Mint Juleps, Candy Cane Cosmos and Glühwein (aka Mulled Wine) are meant to be shared during this season’s celebrations. 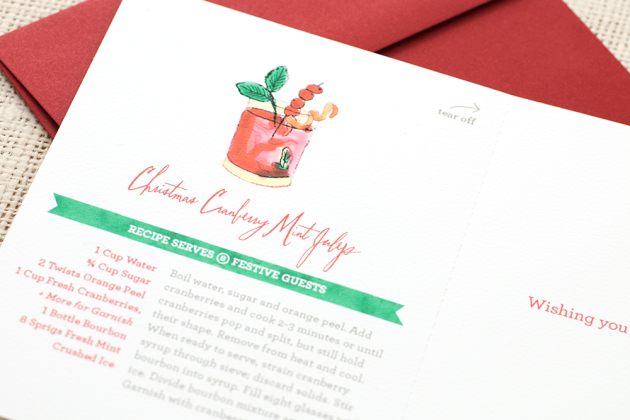 The cover of each card features a holly jolly wreath made from the coordinating beverage’s ingredients, and the inside (back of the front cover) has an illustrated seasonal drink with recipe for eight. The fold is perforated so that the recipe card may be torn off for convenient display, storage and reference. 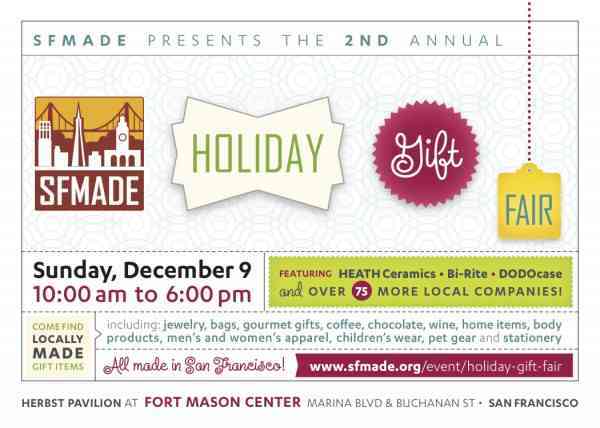 Front Message: Holiday Cheer | Inside Message: Wishing you a joyful celebration! You can purchase the cards online in our shop on Etsy or email us for a direct order. The A2 cards are sold in multipacks of twelve or single-design packs of eight with sparkling red envelopes for all. 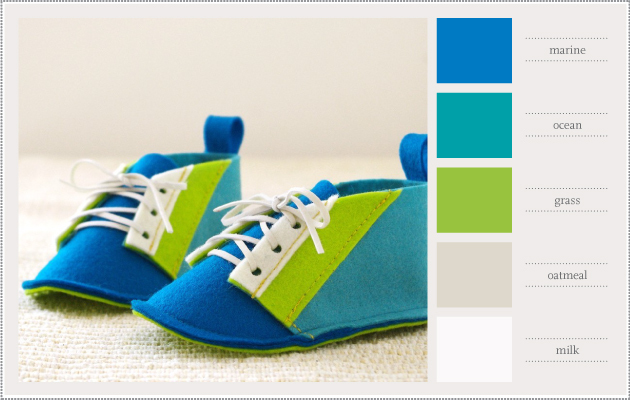 We can also customize orders – just drop us a line! The cards are illustrated with watercolor paint and flat printed by hand on recycled white, felt-textured cardstock. Cheers! Happy Friday everyone! 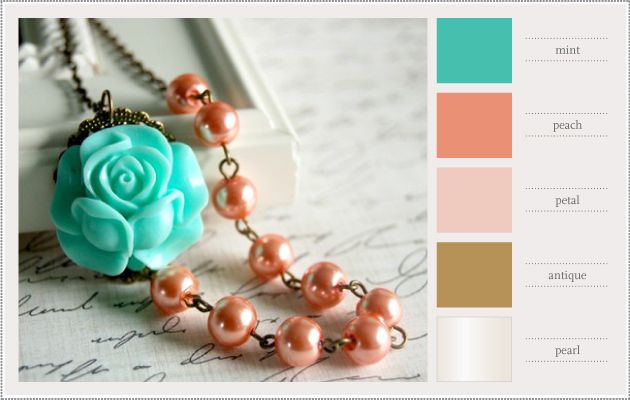 I've had an aquamint and tangerine color palette on the brain for a few weeks, so when I spotted this necklace on Etsy, I immediately fell in love.